This list of reports is also available in alphabetical order by report title. Every month SentriLock, LLC. provides NAR with data on the number of properties shown by a REALTOR®. SentriLock Lockboxes are used in roughly a third of home showings across the nation. 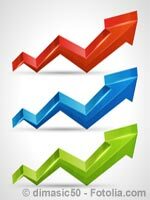 Foot traffic has a strong correlation with future contracts and home sales, so it can be viewed as a peek ahead at sales trends two to three months into the future. These surveys ask a sample of mortgage lenders about the QM rule’s impact on their business and how the rule could in turn impact consumers. This report examines the generational differences of home buyers and sellers in the current real estate markeplace. 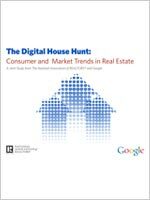 Google and NAR have collaborated to uncover trends and insights around digital media usage among home shoppers, whether they were looking for an existing home, a newly constructed home, or an apartment. Together, Google and NAR’s individual research results tell a cohesive story about today’s uber-connected home shopper. Purchasing a home is an important life decision, and many factors can influence the home choices buyers make. The Profile of Buyers’ Home Feature Preferences examines the features buyers prefer when it comes to purchasing a home, as well as the differences in preferences when it comes to factors such as region, demographics and household composition. This 16-page paper looks at how homeownership leads to positive social outcomes. It examines not only the ownership of homes, but also the impact of stable housing. 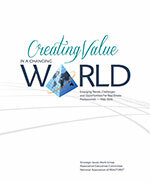 NAR commissioned this report to study the industry’s evolution in order to help set strategic direction for agents, brokers, and associations alike. Based on a random sampling of NAR’s membership, the Member Profile strives to answer the question: Who are REALTORS®? It looks at a variety of economic and demographic characteristics, and business practices. The National Association of REALTORS® Profile of Real Estate Firms is based on a survey of firm executives who are members of the National Association of REALTORS®. The report provides insight into the business characteristics, business activity, franchised firms, benefits and education at firms, and the future outlook of firms. We live in a global marketplace. While all real estate is local, not all property buyers are. A significant share of home purchases are made by people whose primary residence is outside of the U.S. The Profile of International Home Buying Activity reveals the top five countries of origin for foreign home buyers and how these buyers are utilizing the services of REALTORS®. The international real estate market, defined as non-resident foreigners purchasing residential real estate in this country, is important to Florida. Florida is the state which produces the largest share of U.S. residential home sales to international clients, accounting for 23 percent of total sales to international clients. NAR estimates these sales at $68.2 Billion to resident and non-resident foreigners. International sales are a growing market for Miami. Because of the cultural and linguistic challenges presented by these transactions, this is currently a niche market, but there is plenty of opportunity for REALTORS® interested in both commercial and residential sales to foreigners. These downloadable reports look at international business activity by state, including the number of foreigners arriving from various countries, homeownership rates, and top exports. 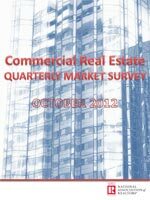 This biannual report is conducted jointly by the REALTORS® Land Institute and NAR. Its focus is to present accurate information on current trends in the land markets and on the general state of land sales. The data in the report is generated from survey responses from land professionals from across the United States. This survey provides an overview on REALTORS®’ technology usage and needs specifically: social networking, lead generation, and more. Find out who visits NAR’s Web sites, realtor.com® and REALTOR.org, and how often. Learn what’s important to fellow REALTORS® and the general public plus know realtor.com®’s position in the real estate vertical marketplace.